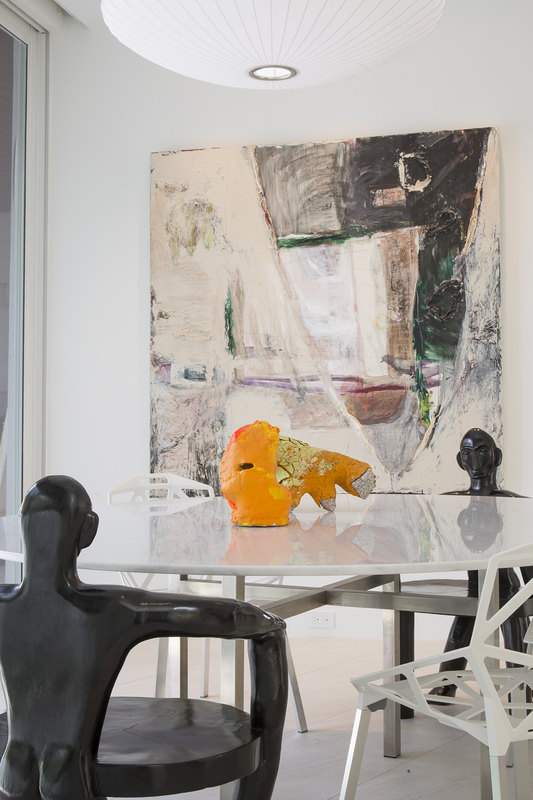 Artist and prominent collector Francie Bishop Good shares an inside look at her lifestyle and workspace. Bishop Good uses her laptop to manipulate her photography while Buddy, one of her three rescue dogs, keeps her company. Yellow doors bring a cheery burst of color to the basic white walls and neutral concrete floors. The shelves display a rainbow of mini sculptures made by the artist. Francie Bishop Good’s studio is her second home, and conveniently, it’s just steps away from her first. Bishop Good and Horvitz have made extraordinary contributions to the art world, especially in South Florida. They are leading collectors, major donors and passionate advocates who have been members of the NSU Art Museum Fort Lauderdale’s board of governors since 2007, with Horvitz serving as chairman for six years. Bishop Good is a two-time recipient of the South Florida Cultural Consortium Fellowship and the State of Florida Individual Artist Fellowship, and her work has been exhibited nationally and internationally. 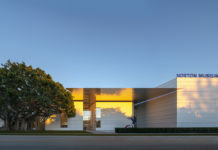 In 2013, the David and Francie Horvitz Family Foundation presented the NSU Art Museum with a $1.5 million challenge grant that has since been fulfilled, and three years later, the museum received a second challenge grant from the foundation: $1 million to support exhibitions, programming and operations. The goal for the match was achieved just nine months after the announcement. 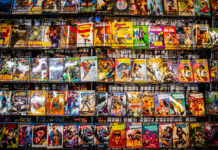 Recently, the couple also made a promised gift of 100 works, primarily consisting of pieces by female artists, from their collection of contemporary art. A portion of the gift has already been deeded to the museum, and more works will come each year. Bishop Good and her husband are also credited with creating Girls’ Club, a private foundation and alternative space in Fort Lauderdale established in 2006 to educate the public, nurture the careers of female artists and serve as a resource for students, scholars, curators and artists to embrace the contributions of women to the field of contemporary art. For Bishop Good, this emphasis on girl power seemed like a natural calling. “One day about 20 years ago, I looked around our house and realized 90 percent of the work we acquired was by women,” she says. 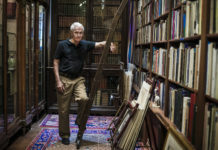 “It just happened organically.” The collection has since grown to more than 800 works. As a 7-year-old living in Allentown, Pennsylvania, taking pictures with her first camera, Bishop Good suspected art would eventually become her life. She majored in painting and photography at the Philadelphia College of Art, eventually earning a bachelor’s degree in fine arts from the University of Colorado Boulder in 1972. Her career has included teaching art to students from preschool to college, and after meeting Horvitz, with whom she began to collect contemporary art, Bishop Good started her studio practice. Much like Bishop Good’s art, H.A.T.S. is layered, textured and evocative. 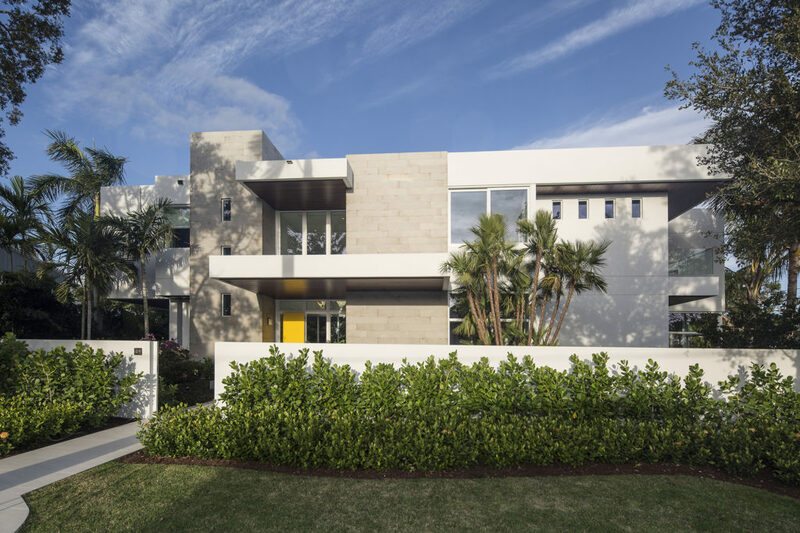 She enlisted Fort Lauderdale-based architect Robert Tuthill, who she describes as “sweet, flexible and very talented,” to design a refreshingly modern edifice, a complete departure from the couple’s former Mediterranean-style home. Tuthill fulfilled the artist’s vision by incorporating expansive windows for an inflow of natural light, plenty of space for guests and a sizable studio with room for a kiln. The dining area features a vintage table and contrast seating. Two curvaceous ebony chairs designed by Tucker Robbins represent the human figure alongside a pair of Konstantin Grcic industrial stacking chairs in white aluminum. A Isamu Noguchi rice paper fixture radiates ambient light, and the space is completed by Bishop Good’s artwork.